In the middle of the main square of Osh, Kyrgyzstan’s second-largest city, looms an enormous statue of Vladimir Lenin. It’s said to be the largest statue of the Soviet ruler still standing in Central Asia and there’s no doubt that it dominates the vista here. For the local community in Osh, it’s rather controversial that the statue hasn’t been torn down since the dissolution of the Soviet Union. 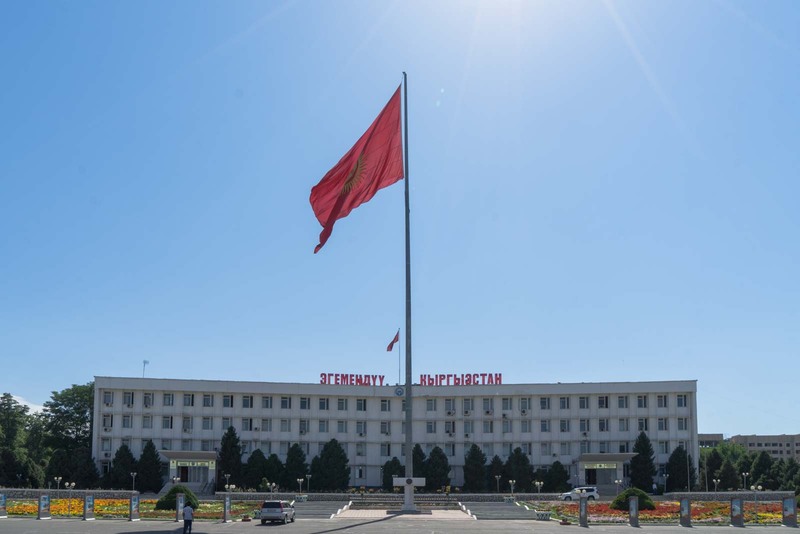 It’s especially odd as it stands directly opposite the City Hall – a symbol of a new democracy – and in the square where the main Islamic prayers are held at the end of Ramadan each year (Lenin, of course, tried to get rid of religion here). 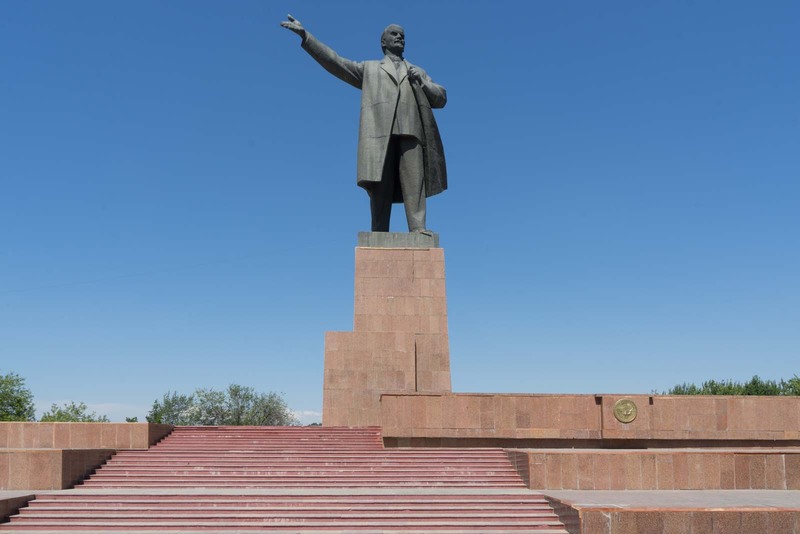 Probably the main reason that Lenin’s figure is still standing in Osh is not because the people want it to stay… they are just too wary to tear it down. 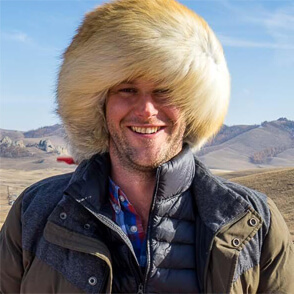 The feeling is that it could infuriate Russia if Kyrgyzstan removed it and it’s not worth upsetting them. Even 25 years on from independence from the Soviets, the influence of the former masters is still felt here. 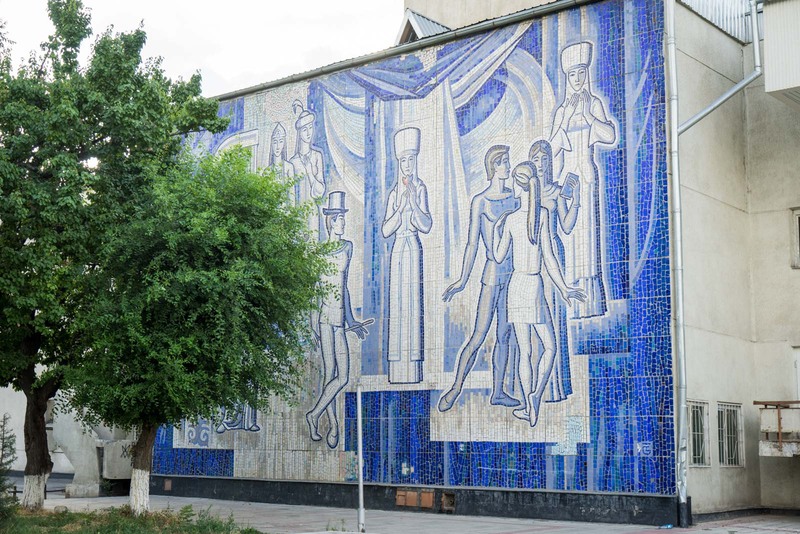 You can also still feel the Soviet influence in the art that is found throughout the streets of Osh. 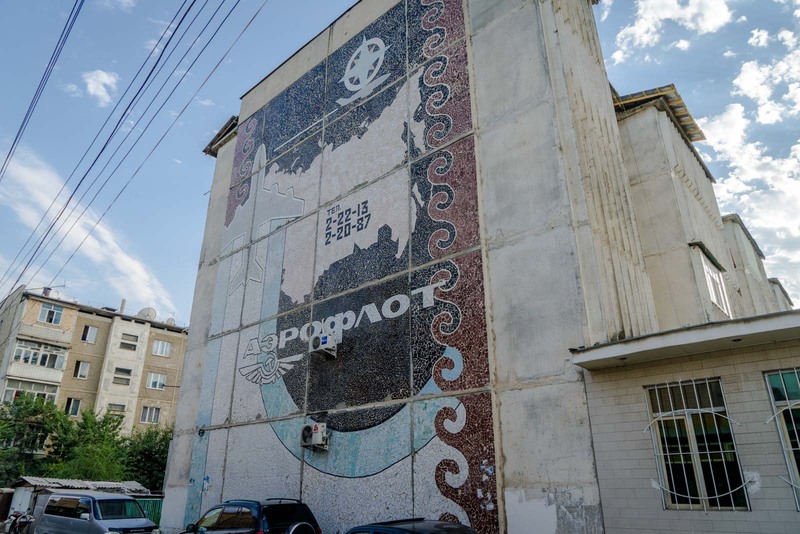 During the days of the USSR, large murals were created on the side of buildings and a lot of them still remain… in one way or another. What is so interesting about them is the way they have been left so untouched since the Soviet Union fell apart. 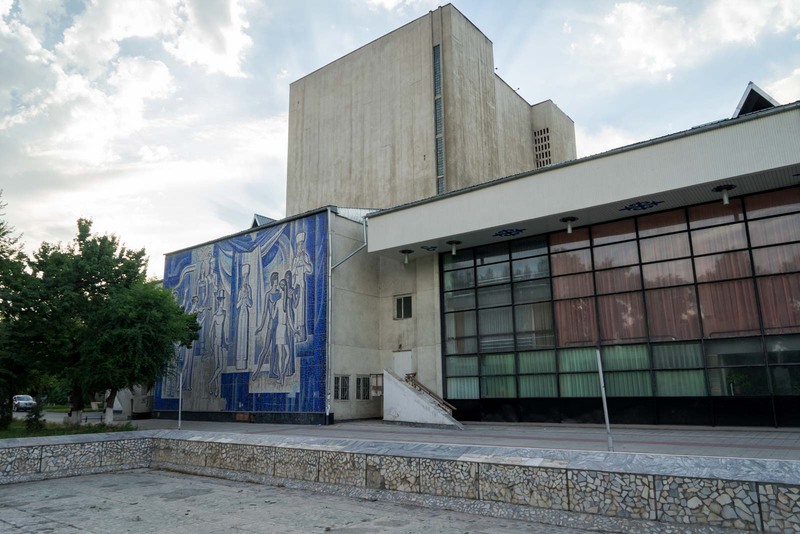 So, why weren’t the Soviet murals in Osh taken down completely? Well, firstly, because they were fundamentally nice pieces of art. And, secondly, for a similar reason to why there’s still a Lenin statue – a mass cleaning-up of symbols related to Russia might be taken the wrong way. Besides, many people in Kyrgyzstan still like Russian art, music, and culture. It’s issues around government that’s more problematic. That’s why what has been altered in the murals is anything deemed too political or ideological. 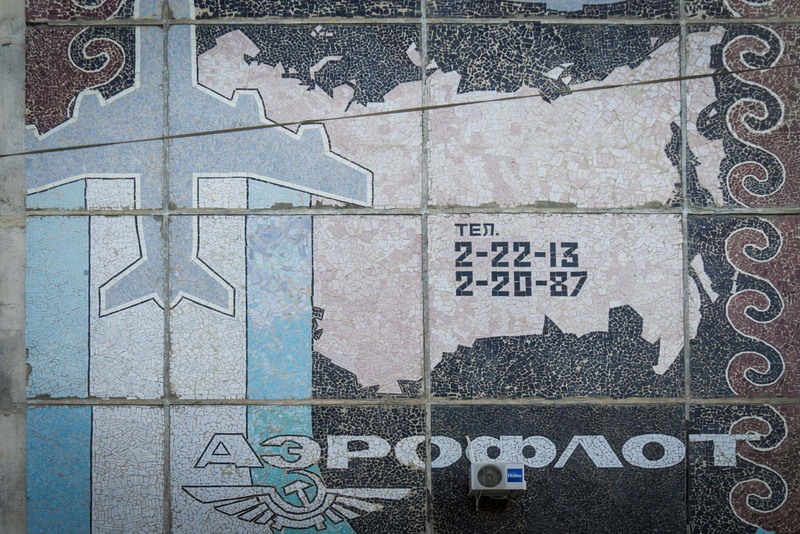 What’s left is still a clear Soviet style – adapted, not replaced, if necessary. I’m going to show you seven of the most impressive murals in Osh and explain a little about them. So that you can get your bearings, I have marked them on this map. This mural is on the side of a building that has, among other things, the wedding registry in it. This is irrelevant to the artwork, but it does explain why there are a lot of formal cars hanging around. 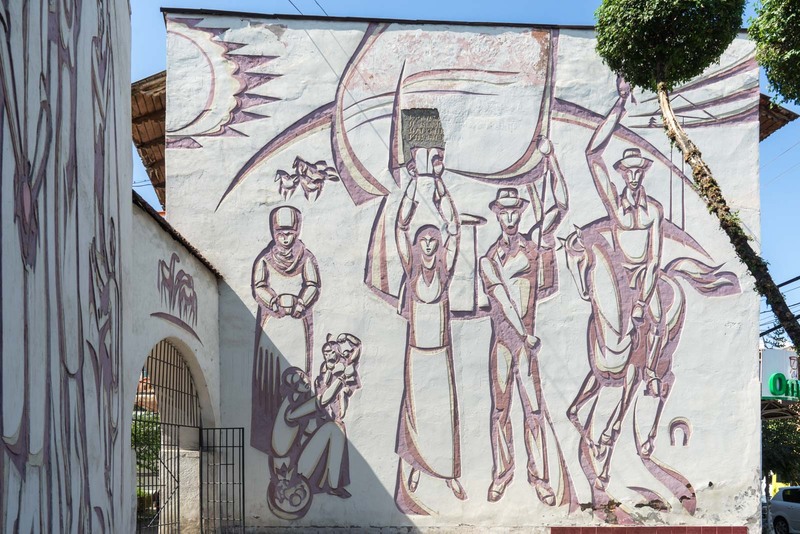 Anyway, this mural is all about the Soviet ideology of strong families and people living together. The dove shows that this leads to peace and its wings look like hands about to give a hug. The sun is a symbol of happiness and is intentionally gender-neutral. This large mural stretches across a couple of sections of wall and is located at a relatively busy intersection. It is clearly about the labour force – but it has been changed a bit since the Soviet years. Back then, the text on the artwork said “Our goal is communism”. That was changed in the 1990s to “Glory to work”. There also used to be a representation of Lenin’s face here. That has been removed. So, although the mural has been adapted, the style is still what you would expect from the older times. It looks quite artistic – but this mural is just an advertisement. It is for the Russian airline, Aeroflot, and was put up during the 1980 Moscow Olympics because the company was a major sponsor. Another mural near the Aeroflot advertisement is for the Olympics itself. This is ‘Misha’ the mascot for Moscow in 1980. 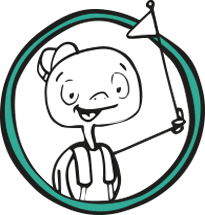 He’s actually quite famous because this was the first Olympic mascot that went on to have commercial success and be popular outside of the games themselves. 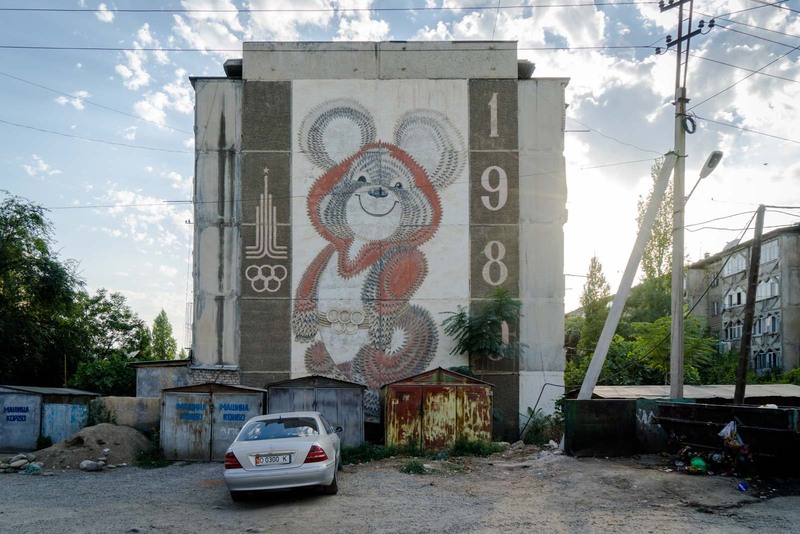 It’s worth noting that even though the was advertising for the Moscow Olympics in Osh, very few people would have been able to afford to go themselves. This was more about national propaganda than anything else. The location of this mural is related to the content portrayed in it. You’ll see three workers – one of them holding some material – and the buildings behind them, which are fabric factories. The red of the material represents communism and the whole scene is designed to show the benefits of labour. The building with the artwork on it is part of a local technical college that is still in use. So the aim is to be a bit of ‘encouragement’ for everyone who comes here to study. The splashes of colour make this artwork a little hard to work out on first glance but, when you look closer, you’ll see a woman on the left and a man on the right. This placement makes a statement about gender equality. But the most important symbol here is the horse that the man is riding. This mural is emphasising how important horses are to Kyrgyz nomads and how they represent power and speed. The building this artwork is on is an agricultural academy and is right across the road from the statue of Vladimir Lenin. This final artwork is on the side of a drama theatre and you can see that it is a tribute to the arts. What is particularly interesting is the mix of traditional outfits with more modern attire. In fact, seeing short skirts is a bit unexpected in a city with a large Muslim population – but shows how the influence from Soviet times has softened some conservative cultural norms. 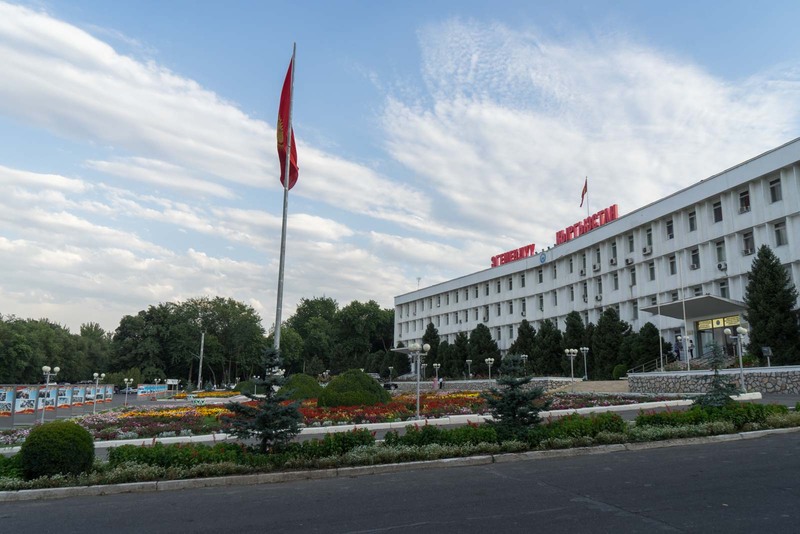 I have found Osh to be a really interesting city, with clear links to the ancient customs of the Silk Road and migration from neighbouring countries to the south and west. Although I’ve focused on the Soviet artwork in this story, the reality is that there are less influences from Russia here than in Bishkek. At one point, while I’m taking a photo of a mural, a man walks past and asks me what I’m doing. When I tell him, he looks up at the wall in surprise. He had never noticed the artwork there before… or, at least, really taken the time to acknowledge it. That probably also says a lot about why these artworks are still here. They exist artistically but they have lost their meanings and significance. Except for people like me who are trying to understand all the layers of Osh. Time Travel Turtle was a guest of Discover Kyrgyzstan but the opinions, over-written descriptions and bad jokes are his own. This trip was made possible by the support of the American people through the United States Agency for International Development (USAID). The contents are the sole responsibility of the author and do not necessarily reflect the views of USAID or the United States Government. It feels awesome to see your travels, OSH is indeed a gem of its own kind. It looks amazing street art. Wow! It looks lovely street art. All pictures are amazing. Loved your post. Can i tribute one more of a recent date? Yes please! If you would like to send me the address (or GPS coordinates) and a photo, I would more than happy add it to the list with a credit to you! Great collection! 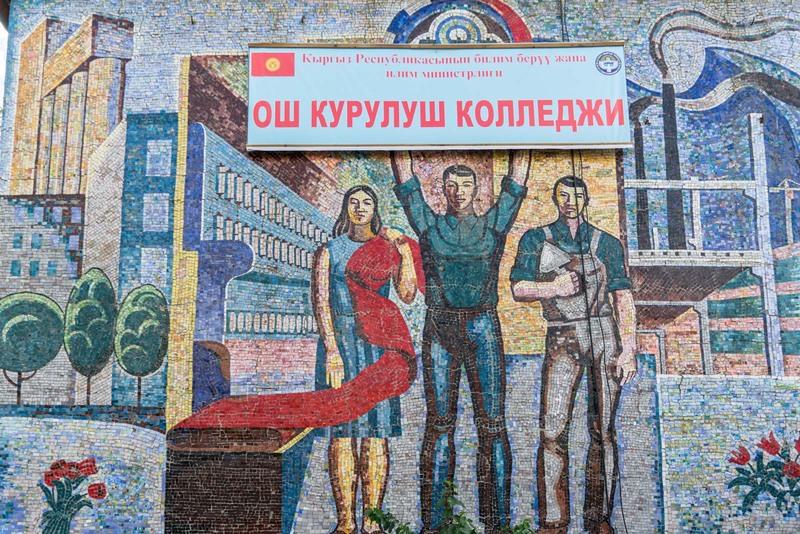 I research Soviet mosaics over in Almaty. 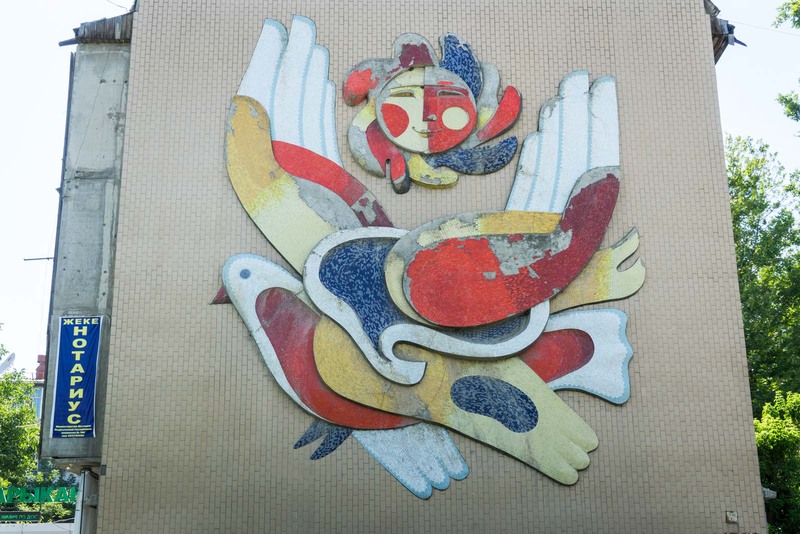 The mosaic-relief you’ve titled “Peace” is titled “The Bird of Happiness,” by Vladimir Krugman. 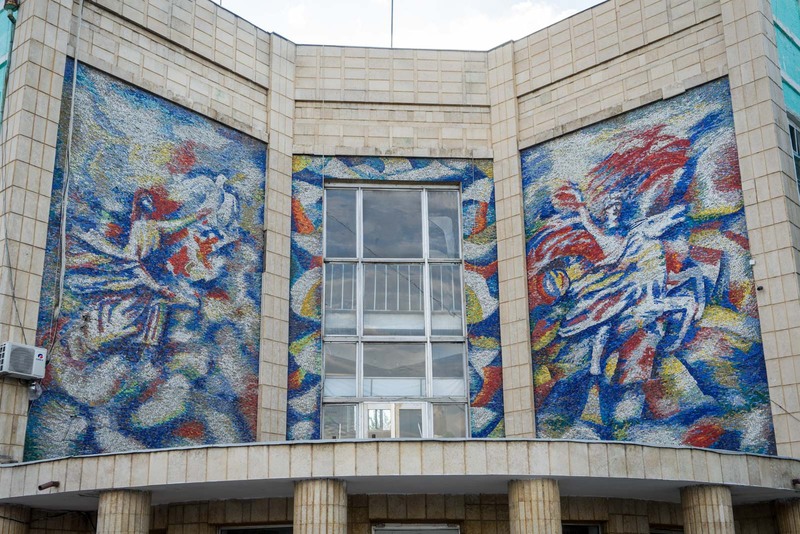 The mosaic you’ve titled “Drama” is by the artists Zhyldyzbek Moldakhmatov and Theodore Hertzen, made in 1972-1974 and titled “Artistic Youth.” The mosaic you’ve titled “Horsepower” is almost certainly the work of Satar Aitiev – his impressionistic style is really distinctive. You can find his work “Return” (1979) over the central entrance to Lab Building No. 6 at Kyrgyz State National University in Bishkek (328 Abdymomunov St.). Hope you can add this information to your post and the map, as this is a great resource!